A full, and free, Compost Creatures session at Oadby library today. 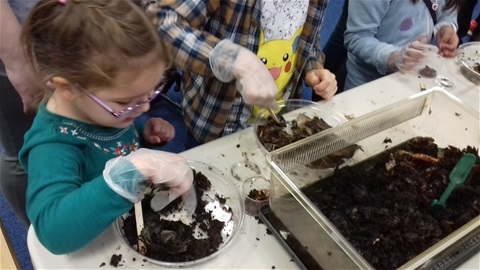 this is one of the sessions for younger children allowing them to hunt through compost from two of the wormeries looking for composting worms, potworms woodlice and other winter visitors to the wormery. Very few slugs or snails yet this year. Tomorrow it is a repeat of the session at Glenfield library.